What is the best email management software? The best email management software is SendinBlue, which offers a comprehensive set of tools for productivity, email marketing, and analytics. Its robust integration functions and expanded automation features for email marketing campaigns make it a top choice for email management. It’s been 48 years since the first email was sent and it has significantly changed the course of how we organize our work and transact with each other. Amidst daily technological advancements, email remains to be relevant. It’s still a top productivity and marketing tool for businesses and users who don’t maximize productivity via streamlining email management are shortchanging themselves. In this article, we offer a solid list of the best email management software that answers to productivity and marketing needs of businesses. We will discuss important factors and emerging trends to help you make an informed and intelligent decision when it comes to choosing an email management software. It’s important for you to check if the email management software of your choice provide extensive tools when it comes to security, automated marketing, and integrations. 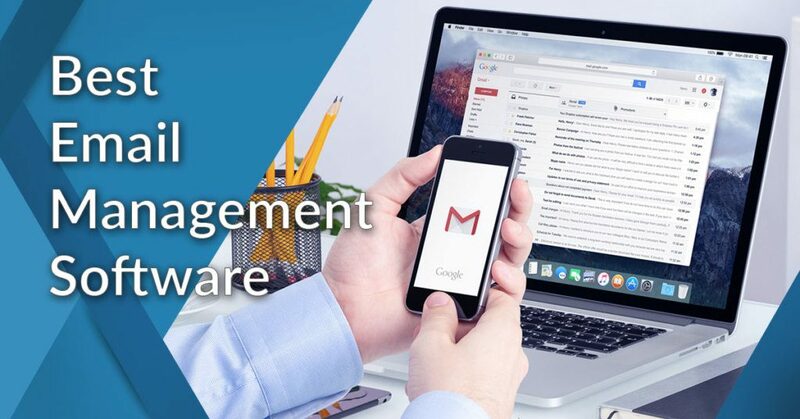 This list consists of top-performing email management software with robust tools, AI functions, and multi-platform integrations. One app is sure to match your expectations. US companies lose $550 billion every year due to productivity gaps. Employees spend at least 13 hours a week just dealing with email correspondence and productivity is affected when businesses don’t have standard protocols when it comes to email management. Why unnecessarily use up 13 paid work hours when emails can be effectively handled daily in just an hour or less? This is where email management apps can help you. This is why having an email management software is essential. Having an effective email management software with the right tools increases your team’s productivity and easily boost profits. In choosing, it’s necessary that you have full awareness of your business concerns and needs. Such points should be incorporated with current productivity and marketing trends. Automation – 98.4% of email users open their account daily. This easily makes email marketing still the top choice when it comes to boosting sales and reaching out to consumers. This year sees significant growth in the use of automation tools when it comes to email marketing campaigns. Automation tools are data-driven and work intuitively depending on user behavior. An emerging feature use trigger actions from consumers to fashion the kind of marketing content that can now be sent via email or SMS. Collaboration – businesses with teams that collaborate are 5x highly likely to be performing well. Collaboration tools are now front and center when businesses want to speed up and boost their productivity. Feedback loops are seen as hacks in streamlining workflows. Encryption – emerging technologies zone in on security with varying levels of encryption and such is equally apparent in current email management tools. Integrations – email technology continue to transform. Businesses these days now opt for software that integrates with already existing data ecosystems and apps. Email clients now fully incorporate data storage with their service packages. In evaluating and curating this list we prioritized these emerging trends while considering varying package bundles and price points. SendinBlue emerged as the top choice in this list for it is automation ready, rich with integrations, secured, and offered in flexible service bundles. SendinBlue is our top email management software for being an extensive product that comprehensively covers business needs from marketing campaigns, SMS interactions and transactional messaging, to newsletter creation, contact segmentation, monitoring, and heatmaps. It’s the ideal email management software for startups as it has all the robust tools that can engage customers, promote loyalty, and build a sense of community between businesses and their customers. In addition, it’s absolutely free for businesses that only send 300 emails per day. Apart from startups, it’s also fit for small, medium, and large-scale businesses. SendinBlue tools mainly zone in on marketing campaigns. It offers expanded marketing tools that cover even SMS messages. Its SMS marketing campaign feature is boosted with data analytics where every message sent is intuitive and triggered by website visits, past interactions, and inquiries. Furthermore, SendinBlue simplifies email marketing for its users through tools that allow for the quick creation of sleek newsletters via pre-made design blocks. Through these responsive design blocks, users can simply drag and drop their preferred style and media of choice. In addition, it readily offers 8 workflow patterns that users can utilize and follow to fully automate marketing campaigns. SendinBlue integrates with multiple third-party apps like Wordpress, Salesforce, and Shopify. It bases its pricing on the number of emails sent and not on the number of contacts of its users. SendinBlue is available in the market for as low as $25/month. Front is a team-centered email management software that allows users to have one channel for emails, social media, and text messages at flexible price points. Its an ideal CRM partner for the business needs of agencies, e-commerce shops, financial services, hotels, marketing specialists, logistics, technology, and travel. Its features primarily focus on email, chat, SMS, and social media tools. It’s a forward-looking email management software that integrates analytics and allows for a fully automated email experience. Its unique design provides a fully transparent fast interaction with clients because all team members are granted full access to client emails with receipts that informs everyone if an email has been read and which clients and team members have read it. It also provides a calendar and IP access restrictions. Front integrates with numerous third-party apps like Dropbox, Facebook, and Gmail. Front give users the option to be billed monthly or annually and is available in the market for as low as $ 15/month. Zoho Mail is top email management software that prioritizes security and provides a completely ad-free user experience with 99.9% uptime.  It’s a solid top choice for it also offers custom domain services. Users will have free rein when it comes to customizing their domain and boosting their brand with a quick and hassle-free in-app process. Zoho Mail is ideal for freelancers and small businesses. Zoho Mail mainly provides IMAP/POP access, email hosting, Activesync exchange, email recall, domain aliases, email forwarding, white labelling, appointment scheduling and storage together with free iOS and Android mobile apps. Its edge is its clean and simple user dashboard where filter and scrub tools are easily accessible together with all essential tools. The entire user phase also has a Night Mode version that’s friendly to the eyes. It also has a chat client. In this list, Zoho Mail is considered as the best email management software for Mac and Apple devices for it provides a special IMAP Configuration tool for Apple Mail. Zoho Mail readily integrates with Workplace components. It is priced depending on the number of users and it’s available in the market for as low as $1/month. Yesware is a data-driven email management software that allows users to actively track emails upon sending. It offers comprehensive tools to track productivity and campaign success. It’s ideal for freelancers, small businesses, medium businesses, and large enterprises geared towards utilizing data analytics in improving sales. Yesware primarily provides productivity tools by providing personal templates, personal reports, scheduled emails, attachment tracking, and analytics. It has collaboration features that allow for the creation of multiple team channels with centralized billing and role-based permissions. In addition, it allows users to have multi-channel campaigns together with templates and performance reports. Campaigns can also be integrated with LinkedIn Sales Navigator Touch Types. Its robust monitoring tools inform users if their emails are effective and are actually read. Yesware integrates with third-party apps like Capsule, Nutshell, and Highrise. YesWare bills annually and is available in the market for as low as $12 per user/month. Groove is one of the best email management software solutions available in the market for being cost-efficient, scalable, data-driven and ready for automation. It helps you provide fast and efficient customer support. It is cloud-hosted and it’s ideal for small businesses, medium businesses, and large enterprises. Groove speeds up customer support through automated knowledge-based answers, a shared inbox, and daily analytics. Its reports include article performance, search statistics, and SEO optimization. Custom domains are also provided for users’ knowledge base. In addition, brand-sensitive tools for customization are also provided with mobile-ready themes and SEO Meta description. In addition, email tracking is also available. Groove gives users the option to be billed monthly or annually and is available in the market for as low as $ 12 per user/month. Hiver is a sleek email management software that can transform Gmail into a team-friendly collaboration-ready email client. Through this, its users can provide customer support straight from their Gmail accounts. It gets brownie points for providing the fastest setup given that users just need to input their existing Gmail accounts. Hiver tools are ideal for small businesses, medium businesses, and large enterprises. Startups, agencies, software development teams, and educational institutions will benefit the most from Hiver tools and features. Hiver mainly provides tools to enable shared Gmail inboxes. Through the shared inbox, teams can collaborate seamlessly and assignments can be assigned in an instant. Clients will receive faster replies and support given the transparent nature of a shared inbox where entire threads are freely accessible to all team members. Hiver also incorporates Gmail labels, email notes, and email reminders for all team members. Groove integrates with Zapier, Salesforce, and Slack. It’s available in the market for as low as $ 14 per user/month and users get to choose if they want to be billed monthly or annually. Suppressionlist.app is a highly secured law-compliant email management software that handles suppression lists for its users in a fully automated manner. It’s ideal for small businesses, medium businesses, and large businesses that want to carefully track, monitor, and reap analytics from their opt-out list. It’s highly recommended for mailers, brands, agencies, and networks that send bulks of emails on a daily basis. Suppressionlist.app is one of the best email management software that businesses can utilize to make sure that their campaigns are law-compliant and far from being associated as spam. It complies with international privacy laws pertaining to opt-out requests. Through its tools, it can warn users if the content, nature, and style of its campaign is bordering international limits and standards that prohibits spamming and secures optimum privacy for email users. It has a data share tool that makes it easy for businesses to share suppression lists to all stakeholders. In addition, all shared suppression list data are encrypted for enhanced security. Suppressionlist.app is web-based and works smoothly with email client apps. It’s available in the market for $145/month. DeliverySlip is a secured email management software that puts prime on protecting data. Its security tools and features fit legal, medical, and financial industries. We recommend this email management software for businesses that work with classified data. It provides better overall security through its design that allows for data transfer via a dedicated encryption pipe. DeliverySlip offers a unique email security mechanism where all stored information has no duplicate. Through this, users have full control over who has access to information. Users can easily lock files from being downloaded and accessed by anyone with no prior authorization. Its tools provide an overall secure community without requiring users to create new email accounts and create extra passwords to manage. In addition, it complies with international privacy regulations and utilizes 14 USPO patents in providing its service. DeliverySlip delivers boosted security and fully integrates with email clients like Yahoo!, Zimbra, G Suite, and Odin. DeliverySlip is available in the market for as low as $4/month. Microsoft Outlook is a clean email management software with a robust built-in calendar that helps users have an organized multi-faceted workflow. It’s the best email management software for Windows users as it seamlessly integrates with the entire system given that both are manufactured by Microsoft. It’s ideal for small businesses, medium businesses, and large enterprises that zone in on integrated continuous communication with members, lead players, and stakeholders. It’s also ideal for on-the-go freelancers with its remote access tools and expanded calendar options. Microsoft Outlook takes the cake when it comes to organizing a workflow by fully integrating numerous third-party apps. It has a dedicated inbox that can easily incorporate and reference schedules and timelines. Its users can easily share files, create templates, and incorporate travel and flight details. Furthermore, the entire inbox can be accessed offline. Microsoft Outlook integrates with numerous third-party apps like Evernote, Paypal, Yelp, Facebook, and Uber. In addition, Skype is a built-in app that goes with It’s available in the market for as low as $4/month. SendGrid is a free cloud-hosted email management software that provides robust email marketing tools for its users. It’s ideal for marketers and developers that demand scalability and efficiency in their work. It offers a custom API integration to both paying and non-paying users. In addition, it can provide dedicated IP to its users. SendGrid primarily provides tools for an API-friendly inbox, email marketing, and analytics. Its email marketing tools can be fully automated and come with ready designs and templates. It just released the beta version of its tools that integrate Facebook, Instagram, and Google ads. In addition, its email API allows transactional emails. SendGrid pricing is based on the average monthly amount of emails sent by its users. Its free package allows users to send 40,000 emails for the first 30 days and 100 emails per day from the 31st day and onwards. SendGrid is available in the market for as low as $14.95/month with an extra fee of $10/month for every additional 10,000 contacts. Vartika OST to PST Converter makes it to the list for being the definite choice when it comes to seamlessly converting OST files to PST files. It fits small businesses, medium businesses, and large businesses that put prime on data security, restoration, and storage. It’s one of the best email management software because it precludes businesses from having to deal with corrupted and damaged files. Vartika Software has been in the business for more than a decade and Vartika OST to PST Converter is a top product that has comprehensive data hygiene tools for businesses. Its conversion tools can restore not only emails, but also journals, contacts, tasks, and calendars. It can even convert and recover encrypted OST files. Apart from its conversion features, it also has tools for setting up security parameters that can send warnings for errors and trouble areas. Vartika OST to PST Converter works with MS Outlook 2016 and earlier versions. It’s available in the market for as low as $49. XgenPlus is an enterprise email management platform built to centralize all your business communications from within a platform that is completely customizable to fit one’s specific requirements. All types of written communications are stored and sent in unified location, thus making it easy to organize and secure all your messages. Coupled with its calendar, scheduling, document sharing, and planning functionalities, you can make well-planned and coordinated efforts with ease. Built for all types of businesses, XgenPlus ensures that outbound emails are safe from prying eyes through encryption. Furthermore, to maintain consistency in email communications, XgenPlus ensures that all your branding elements adheres to your specified rules, from font style down to company logos and email signature. It also also competently filters inappropriate emails to shield your inbox from malicious messages and threats. XgenPlus is available for both on-premise or cloud-based deployment. Contact the vendor to get a quote. Our list of top email management software shows that it’s possible to have a secure, comprehensive platform that has automation tools and wide-ranging integrations at flexible price points. There are standout software like Vartika OST to PST Converter that particularly caters to specialized security needs and Zoho Mail that provides custom domain services. Likewise, SendinBlue gets the top spot for providing tools that match today’s emerging needs and trends when it comes to email management. In choosing, prioritize your personal needs while incorporating emerging trends and tools. You should consider your budget and usage style to get the most cost-efficient choice and service package. If you’re into marketing, you can read our article on top email marketing software. For further research, check out our dedicated page for email management software.